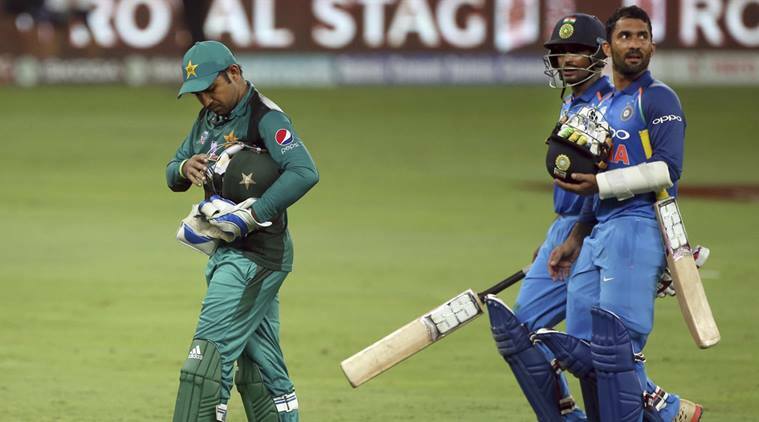 India defeated Pakistan by 8 wickets in the Asia Cup 2018 in Dubai International Stadium on Wednesday. Batting first, Pakistan scored only 162 runs in 43.1 overs due to great bowling performance of Indian bowlers. In reply, India achieved this easy target in just 29 overs with the help of good innings of Rohit Sharma and Shikhar Dhawan. Rohit Sharma scored 52 runs off 39 balls with 6 fours and sixes whereas Sikhar Dhawan scored 46 runs off 54 balls with 6 fours and 1 six. Bhuvneshwar Kumar was adjudged the man of the match for his very economical and best bowling. He took 3 wickets for 15 runs in his 7 overs. The attitude of the Pakistani batsmen was disappointing, but this win would give India enough confidence for the next matches. The bowling performance of Kedar Jadhav and Bhubaneswar Kumar was brilliant and it was said that this victory completely belongs to bowlers. Team India will take Pakistan on 23rd September 2018 again and we hope we will get a close match this time.